Are you ready to BE-come a published Author? Are you looking for a powerful way to share your message? Have you been thinking about writing a book but not sure how to begin? Now you can take advantage of the opportunity to become part of the Wake Up Women author experience! With Wake Up Women, you can achieve the ultimate credential that will propel your life and business to new heights by being a best-selling contributing-author in this extraordinary book series! We are looking for women and a few men who have unique stories, experiences and knowledge to share with the world. Do you want to expand your business and impact your bottom line while you share help to inspire, inform and instruct others? In addition to the inspiring stories that audiences expect in a anthology book, authors will provide compelling step by step formulas and “how to”secrets that ignite purpose and passion with plan and process. Share your inspired vision and your secrets for generating success, abundance, joy and freedom and get recognized by executives and entrepreneurs around the world. Learn how to achieve a lifetime of credibility using a book as the most powerful lead generator ever! 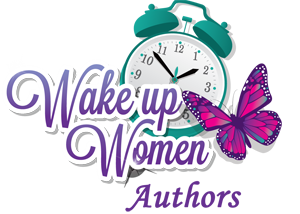 Become a Wake Up Women Contributing Author TODAY!